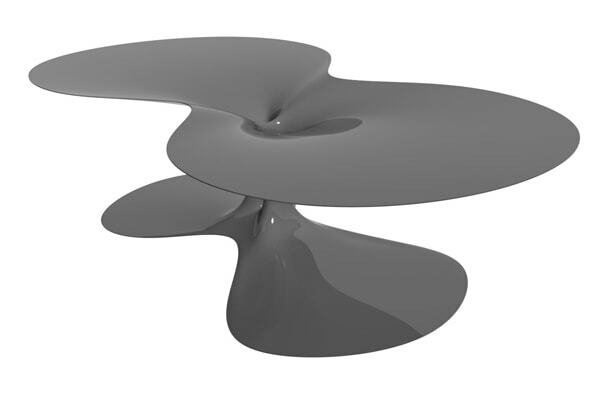 Philipp Aduatz‘ Singularity Table visualizes the enormous gravitation of a black hole through a table that seems to end in an invisible hole. 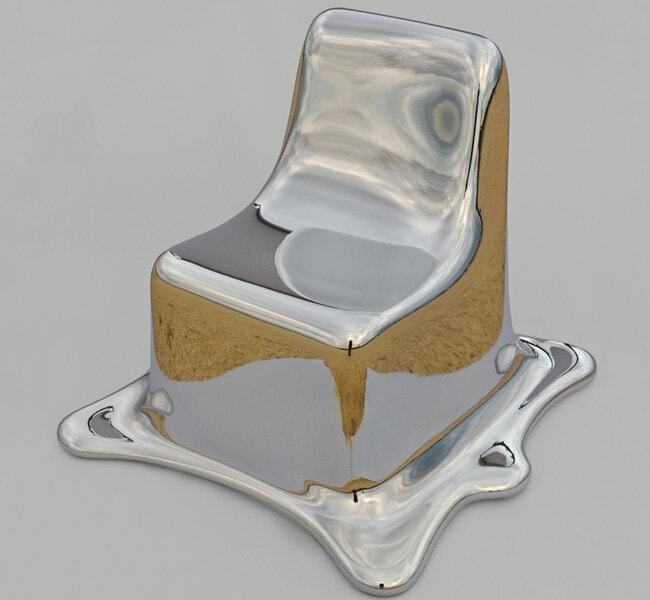 The main goal was to take a scientific approach to design and create an object that is suitable for daily use. 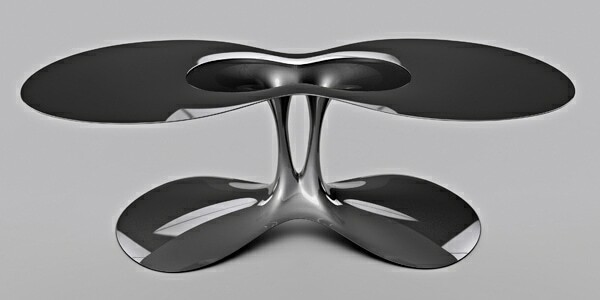 Aspects of physics, technology as well as design are merged in the Singularity Table through modern materials. 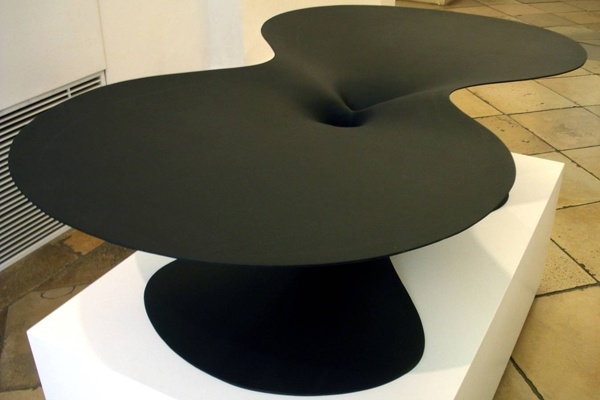 The Singularity Table draws the observer’s glance into its center, thus invoking a feeling of the attraction that physical objects and even light experience in the vicinity of a black hole. 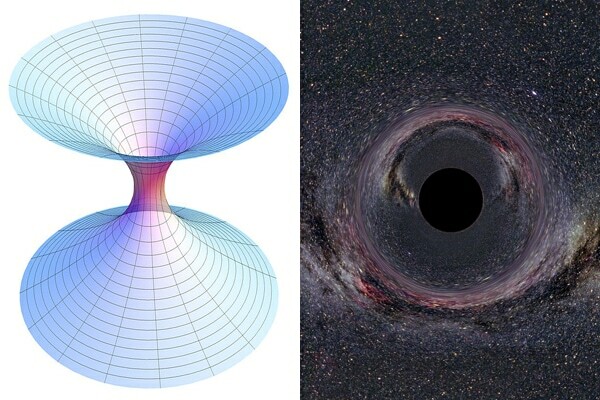 According to the theory of general relativity a black hole contains a singularity. Inside the singularity the quantities which are used to measure the gravitational field become infinite. Surrounding the singularity is the event horizon, the border that marks the point of no return. Approaching matter and even light that cross the event horizon are pulled in and are inevitably trapped in the singularity. Thus it seems black, as not even light can escape. 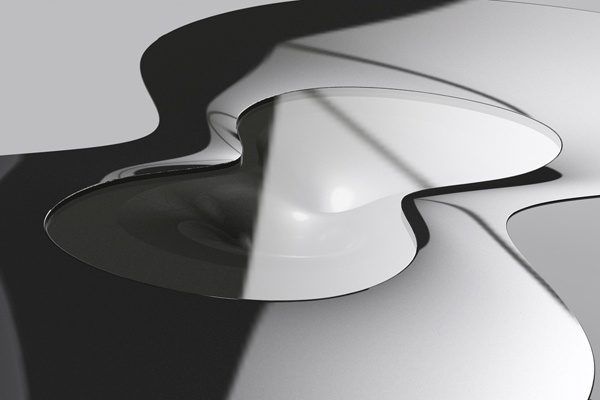 The design process of the Singularity Table started with a sketch. It was digitized to obtain the first 3D model on the computer. 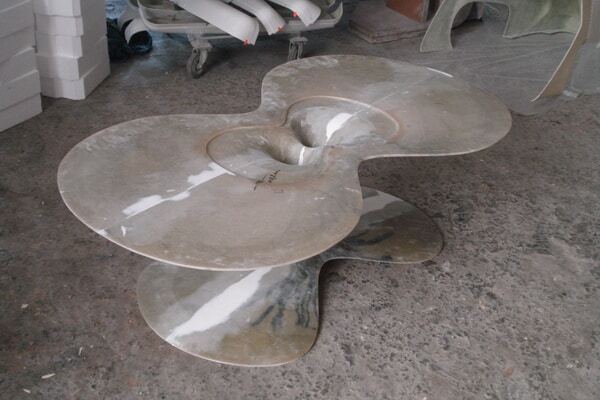 With this data a 1:1 mould was CNC milled for the first prototype of the table. 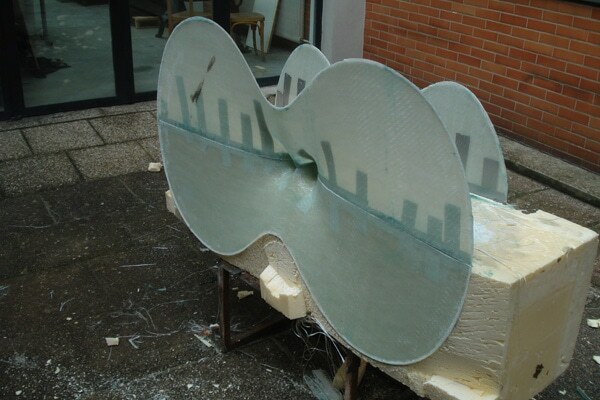 The prototype was laminated with fiberglass. 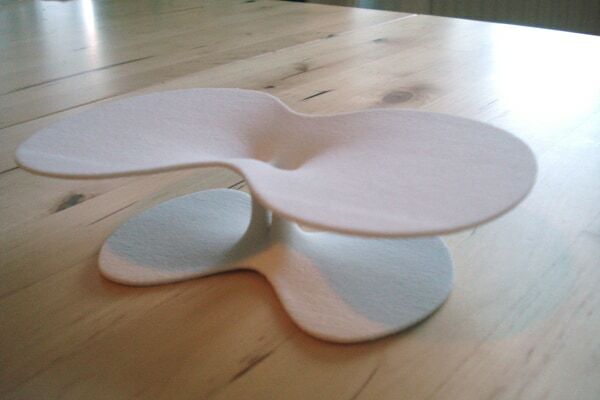 For the final Singularity Table, fiberglass as well as carbon fibers were used in a polymer matrix. To improve the usability of the object, the Singularity Table has a removable top cover of plate glass to prevent objects from falling into the center. 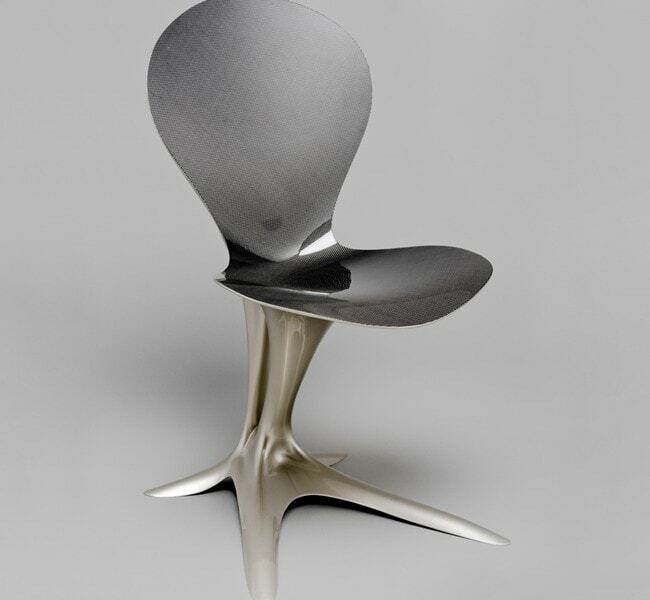 The Singularity Table is complemented by the Flower Chair.